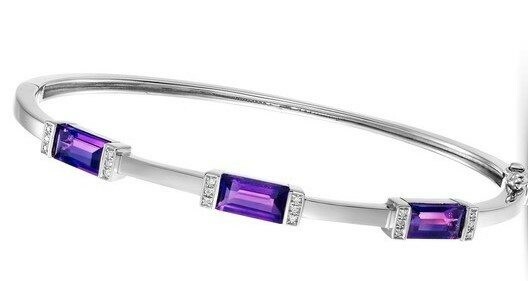 Amethyst baguettes are set amidst white diamonds in this stunning white gold bangle bracelet. 2.53 CT TW. Amethyst. 0.05 CT TW Diamonds.